This document (hereinafter referred to as Terms and Conditions, Regulations) of BPBW Events Ltd. (hereinafter referred to as Provider, entrepreneur) contains rights and obligations of the use of the bpbw.hu site services (hereinafter Services) by the user (hereinafter: User, together as Parties). The scope of the present GTC covers all services provided in electronic trading on the territory of Hungary trough the bpbw.hu page (hereinafter Website). The Hungarian low CVIII 2001 on certain aspects of electronic commerce services and of information society services and rules of use of the services offered by the web service. The present document is created between the individual service user (User) and BPBW Events Ltd. Only, will be filing will be concluded in electronic form only, does not constitute a written contract, does not refer to a code of conduct, written in Hungarian. If any of the reverse version of this agreement contradicts the Hungarian version, the Hungarian version shall prevail. For questions regarding the operation and use of the service we have encountered indicated below, contact us. 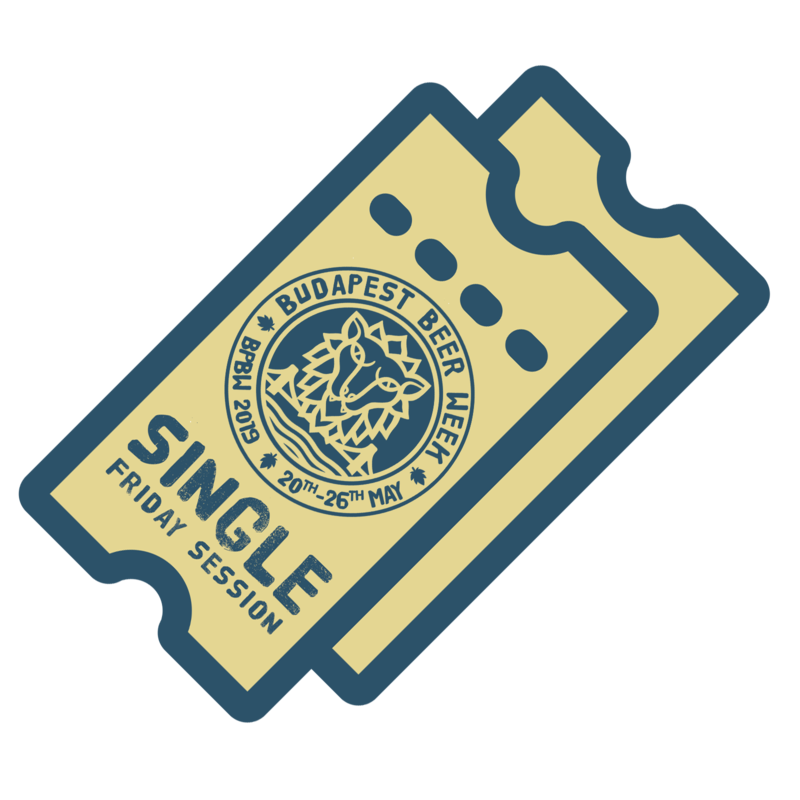 Who is constantly available on the GTC web site and download the budapestbeerweek.com budapestbeerweek.com/terms address. Headquarters: 1106 Budapest, Maglódi út. 47. Headquarters: 1132 Budapest, Victor Hugo utca 18-22. 2.1. not regulated by the GTC questions and the interpretation of the relevant provisions of these Terms and Conditions are governed by Act V of 2013 on the Civil Code in particular the Hungarian law. mandatory provisions of applicable law, the parties to govern without a separate clause. 2.2. This policy is effective withdrawal date November 17th 2017. The Service Provider is entitled to unilaterally amend the Code. The changes to the service provider publishes a website on the day of entry into force. The Service Provider reserves the right from time to time without prior notice to renew and further develop the service. Using the service, more Felhesználó automatically (implicitly) accept the revised terms. 2.3. User expressly acknowledges that the Service is provided “as is” and acts “as available” basis. 2.4. The Service Provider reserves all rights in the Service, in any detail, design and image, as well as service to the dissemination of respect. You may not use the Service in any unauthorized use, download, electronic storage, processing and sale of any portion of the content that appears in or without the written consent of the Provider. 2.5. You agree to use the service at your own risk. And the use of illegal additions / displayed by the user unlawful contents of the Service Provider shall not be held liable. 2.6. User acknowledges that the service provided by the website bpbw.hu the GTC-up counter, or illegal or unauthorized use – including the name and / or collect e-mail addresses of the users or third parties send unsolicited e-mail messages, for privacy infringement to the users conduct certification – the exercise of rights of custody, termination of this contract and the necessary legal steps to take immediate effect might entail, including civil and criminal procedures. 2.7. User expressly acknowledges that the service of these Terms and Conditions and Privacy Information required for adoption. 2.8. data may be seen on the website that are not valid in other countries. It is possible that in some places prohibit their use, or to read them. The Service does not accept any responsibility for the case for someone access pages from a place, and it uses the information found where and as prohibited by local law. 2.9. The contract between the Service Provider and the user will be concluded when the only way to use the bpbw.hu page features available, particularly after buying the ticket user’s duly completed registration. 2:10. Only natural persons may enter into service contracts, so these Terms and Conditions from 45/2014 on rules covering contracts concluded between a consumer and a business. (II. 26.) Korm., Or other specific legal provisions for consumers. 3.1. Consumer: a natural person acting outside his trade, profession or business of self-control. 3.2. Service: The service bpbw.hu bpbw.hu on which information page related to a beer festival event, and an integrated ticketing system. 3.3. 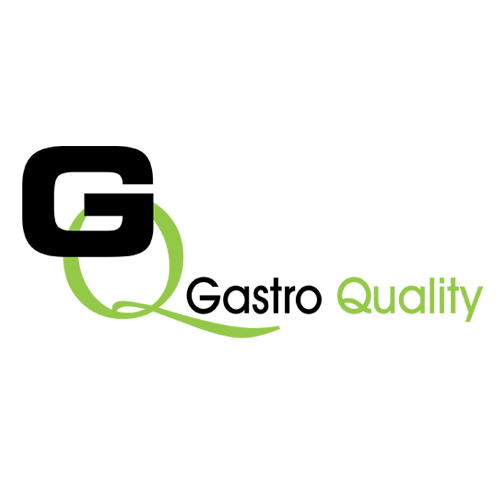 Operator / Service: bpbw.hu the web service. Details, see point 1. 3.4. User: A natural person who enters into a contract with the Service Provider bpbw.hu to use the service. 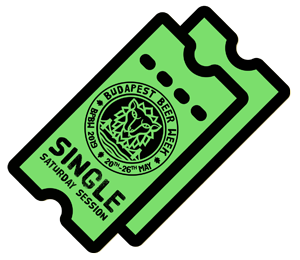 The website is a BPBW.hu held in Budapest predominantly foreign, featuring internationally renowned breweries, BPBW – Budapest Beer Week codenamed beer festival related information website. 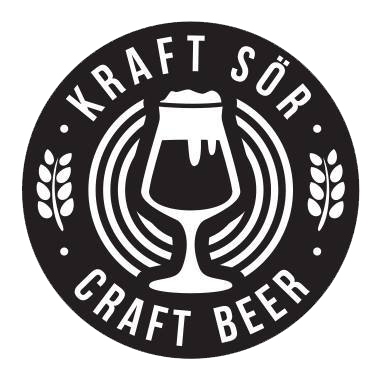 you can browse through information, specifications related to the festival without the user’s registration, see the breweries, other service providers and a list of participating sites, a detailed event calendar. 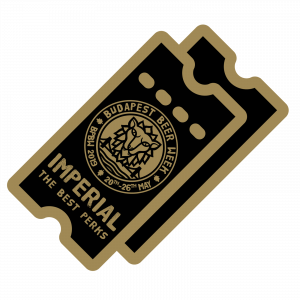 tickets to the festival are available through the website, which is subject to strict registration. User can subscribe to the newsletter webioldalon. 5.1. Users are informed that the services available on the website entered into register. Registration is the first step of the ticket-buying process. 5.2.1. The user declares the registration form filling, to know and accept, the data will contribute to treatments included in the terms of the Privacy Notices Terms and Conditions and Privacy Information published on the Website reported. 5.2.2. User is obliged to provide their real information during registration. During the registration form given untruthful or other legal, or in case of a natural person associated with the data generated electronic contract null and void. Service excludes responsibility if you access the service on behalf of another user, person or entity other data. 5.2.3. Supplier is not responsible for any kind traced to incorrectly and / or inaccurately entered by the user data delay, defective performance or any other problems, errors. The Supplier shall not be liable for any damage resulting from the fact that the user makes it entered personal data available to unauthorized users. 5.2.4. The Supplier shall not be liable for any damage resulting from the fact if user forgets the password, or will become available to the Service for any reason not attributable to unauthorized persons. 5.2.6. User must be a living person. Robots application or by any other automatic filling system is prohibited. 6.1. The service is provided based on the paid Service fee. 6.2. The service fees in all cases are indicated through bpbw.hu/tickets menu of the website. 6.3. The user who purchased ticket through the website will receive an invoice which will be issued at the prevailing Hungarian VAT Act of accounts and financial regulations. 6.5. 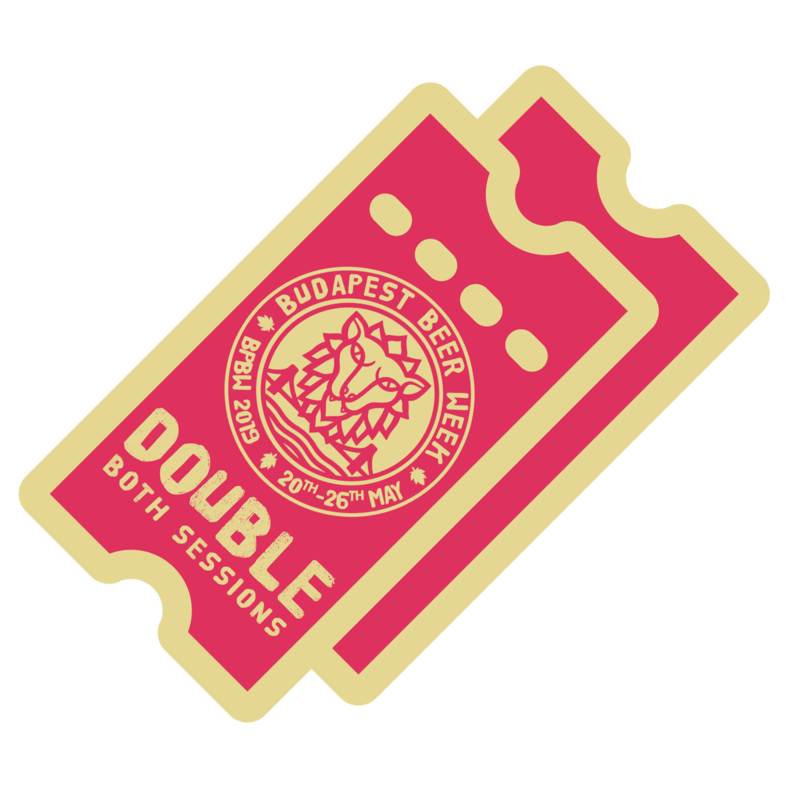 After payment user receives a voucher via email, which can be exchanged for a wristband at the festival, or at one of the BPBW venues. Only valid wristband gives access to the festival. 6.6. The only payment method is credit card payment, which is processed via Barion payment gateway https://www.barion.com. 7.1.1. The bpbw.hu available on BPBW service, you can use your mobile phone, tablet or any computer with Internet. You are not entitled to the service hired, lent, resold or leased more. decrypted program on the website is forbidden, crack, trying to decipher the source code, modify or make the program unusable or inaccessible. Violation of these prohibitions of criminal liability and civil liability. 8.1. Bpbw.hu on the reserve all intellectual property rights related to access content and services BPBW, unless the Agreement expressly granted in this, and of the users’ rights. This license does not entitle you to use the BPBW trademarks, logos. 8.2. By entering the bpbw.hu your pages, and viewing / uses services provided by the service provider accepts the conditions set out in point is, even if you’re not a registered user of the site. 8.3. The bpbw.hu website and content on the website or the services are under the BPBW BPBW Events Kft.’s intellectual property, such as copyright protection entirely, cut them in any part of the mutilated hand again to convey to the public in any manner is prohibited. 8.4. The BPBW Events Kft. Reserves all rights relating to any method of copying and dissemination of technology in any part of the page. content and design of sites and applications for this site is protected under international copyright laws and Hungarian. 8.5. without the prior written consent of the Service Provider of the website and the service as a whole or in part (text, graphics, photos, audio or video material, data, structure, procedures, programs, etc.). Processing and sale is prohibited. Parts of the content of this page – you can save your hard drive or print, but not authorized in this case the page so that further use, distribute, store it in a database, making for download, commercialize replicated part – for personal use only. 8.6. Unauthorized usage criminal and civil consequences for himself. The BPBW Events Ltd., Including ceasing to demand damages from the infringement of the Civil Code. According to the general rules. 9.1. User is obliged to cooperate with the Service Provider with regard to issues considered important to use the service, or by either party. 9.2. when the user of the service use can not do it by using published information, images or any other material that would violate any law, statute, provision or the rights of any third party opposite, including intellectual property rights and personal rights among others. 9.3. The User may not misuse the services in any way, or any fixed and developed by the service information. 9.4. The User may not attempt to access unauthorized access to any information contained in the service, or any network providing the service. 9.5. The user is responsible for the information it has entered into the system, be it intellectual or personal data. 9.6. It shall refrain from any communication or content in the user’s communication or any kind of use of the service that is pornographic, racist, abusive, defamatory, harassing, offensive, threatening, libelous and / or indecent information, pictures or other material. 9.7. If a user violates any of the rules above, the Service Provider reserves the right to delete user registration, event-related ban on the website, including loss of fees already paid it. In addition, services can enforce liability provided by the criminal law and civil law against illegal users. Service excludes the offending user’s existing contract or offensive conduct of responsibility. 9.10.2. Other access of unauthorized use or hack other user’s profile. 9.10.3. sold to third parties, transferred or transmitted to any person in exchange for access to that person without the knowledge and approval of continuity. 9.10.4. Deliberately viruses, worms and other puncture, Trojan, damaged file, false news or other harmful nature of item (information) disseminated. 9.10.5. Pyramid schemes and extended expelled. 9.10.6. upload harmful content to minors transmitted. 9.10.7. or other disguise to appear to take the other person. 9.10.8. Unlawful way to convey other intellectual property or other intellectual property without the permission of the owner or licensor. 9:10:10. The service is used to store other breach of the Rules. 9:10:11. During advertise or promote illegal stop using the service / business law. 9:10:12. Any way to prevent others from having recourse to the bpbw.hu service. 9:10:13. Automatic or fraudulently create / generate fictitious users. 9:10:14. The bpbw.hu services sold without the prior consent of the provider, resold or used for any unauthorized commercial purpose or transmitted otherwise. 9:10:15. The service is modified to any extent, take over, translate, or reverse engineer. 9:10:16. Remove copyright showing indicated the service mark, trademark or other proprietary reference. 9:10:17. transform the service’s website, make it unusable, and create the same website page. 10.1. The information on the Website serve informational purposes only, accuracy, completeness of the information is not responsible for. The Service seeks to communicate accurate and authentic information but is not liable for any damage resulting from that information. 10.2. The Provider assumes no responsibility for any – damage which occurred during entry, use of the system, the opening of harmful content on the user’s computer or other equipment owned – mainly caused by computer viruses. The Service is also not responsible for the fault in the system elérhetetlenségéért ISPs and slow operation. 10.3. Browsing the Web or use of services assumes the risk of internet possibilities and limits of knowledge and acceptance by the User. User acknowledges that the potential risks associated with use of the service to assess himself or herself must ensure safe use and protection of the data stored on your computer. 10.4. Service seeks it, but can not guarantee the service is faultless and smooth operation, or that access to the service will be uninterrupted or error-free. You understand that due to the characteristics of the Internet Service Provider prior to the continuous operation could be interrupted and may unintentionally. Compliance with the annual service jobs available (99%) is entitled to maintenance for the service, or for other safety considerations, the Service partially or completely cease throughout all Members without prior notice or notification. 10.5. Service is only liable for damages caused by the unlawful conduct attributable to the Civil Code. rules on dials. 10.6. If war, riots, acts of terrorism, strikes, accidents, fire, blockade, flood, natural disaster, a serious consequence of energy supply disruptions or other unforeseeable and unavoidable obstacles (force majeure), which is outside the user’s or the Service Provider’s control, one of them being unable to fulfill a contractual obligation, such persons shall not be liable for any loss or damage which came as a result of these events. 10.7.2. any loss or damage which a third party involved by the user’s contract or unlawful act or omission caused to the user or use the Service in connection. Service is not responsible for any damage or abuse that results from a payment by credit card or consequence. 10.7.6. User for any material or moral (non-material) damage claims resulting from the proceeds of the Service. 10.8. In case of infringements related services available on the Website of the Service is working within the limits required by law to impeachment of offending the authorities and persons reserves the right, in the event of infringements committed by the users report it to the competent authority. The Service, the Service if infringements fine, penalty, or have any other amount payable decision requiring legal title, they both regard to the amounts paid by the Service and, in addition, demand full compensation occurs against the infringer. 10.11.1. Service guarantees uptime Service 95% year on year. The measure can not be considered in terms of the availability of falling up to one business day planned maintenance period, provided that the date and the expected duration of services right time (5 days preventive maintenance) informed in advance of the Users of the website. 10.12.1. Service is not required to check uploaded by the user, and it is only transmitted, stored, made available information in the system, so the system with regard to the content provider is entitled but not obliged to continue to look for signs of illegal activity. 10.13.1. The Service User and try to settle their disputes through peaceful means. If the peaceful settlement of disputes out of court are unsuccessful, the parties stipulate for the proceedings (alávetéses jurisdiction), taking into account the Buda Central District Court, the rules on competence and exclusive jurisdiction of the Court of Székesfehérvár. 11.1. The bpbw.hu provide services “as is” and “as available” form, including with all possible faults, without any warranty. It’s a goal hereby provider of any responsibility in the legal framework in force, which is related to the services operated by bpbw.hu use appropriate and precise error-free, or set by the user’s purpose. 11.2. The Provider assumes no guarantee that you will be satisfied with the service, or to find your website content / information of those to whom you need. Furthermore, we undertake no guarantee that the bpbw.hu service will be uninterrupted or error-free or that any errors will be corrected in the system or website. No oral or written information, which give you the services, does not provide a guarantee of rights. 11.3. If you notice any errors or malfunctions during use of the application bpbw.hu, he must immediately report to the Service. damages resulting from the delay in notification or the lack of notification you are responsible for. 12.1. The contract between the parties for an indefinite period of time. 12.4. The termination with immediate effect shall be sent to the other party, addressed mail, return receipt form and must be justified. 12.5. Following the termination of the contract, the parties shall settle accounts with each other. 13.1. Service is entitled to be involved in providing the service partner (programmer, web developer, consultant, etc). This unlawful conduct full responsibility, as if the illegal conduct himself had committed. 13.2. If any part of this Policy shall be void or unenforceable jogtalanná, it will not affect the remaining parts of the validity, legality and enforceability. 13.3. If the right of Service based on the GTC is not exercised, the failure of the exercise of rights can not be considered a waiver of such right. Any waiver of the right is valid only when the express written statement to this effect. The one time that the Service is not strictly stick to these Rules to an essential condition, or moor does not mean that it renounces to insist on the strict observance of that later on terms or conditions. 13.5. You agree that any exposure of this Agreement shall be enforced to the fullest extent possible. If any agreement scores in whole or in part, proves to be unlawful, invalid or unenforceable, all or part of the points to be treated separately from the agreement and does not affect the validity and enforceability of the remaining claims. 13.6. Service Provider reserves the right to BPBW related bpbw.hu website – Beer Week event in Budapest at any time to cancel without giving a reason, did not settle down, delay the time, bring forward in time, shorten the duration, postponement period. In case of cancellation by full-service provider paid by the user through the web site fee fully refunded, I refer back to Service user-specified bank account. At the time of the festival, initiated by the Service for the duration of changes in user – ask operator to refer the service fee paid by him on the back – only before the scheduled date of the festival. If user does not exercise this right before the date of the festival, It shall resign automatically. Service fees paid by the User only be obliged to return if the festival is radically different conditions, different time will be compared to the announced time point megrendezve compared to the conditions than User seen the tickets at the time read on the website the information, or if the festival will be held not at all. Service User is obliged in such cases to only reimburse service fees (the price of the purchased ticket for admission to the festival). Service excludes any further claim for damages Users, particularly seized by the user’s travel, accommodation, and any other user, material, financial, intellectual-looking meghiúsulásból damage resulting from the reimbursement. 14.1. The bpbw.hu data management briefing is available here: bpbw.hu/privacy and bottom web is available as well. 15.4. Act C of 2003 on Electronic Communications (Electronic Communications Act). By using the website bpbw.hu You represent that you understand the contents of these Terms and Conditions and Privacy Notices, he noted and accepted.